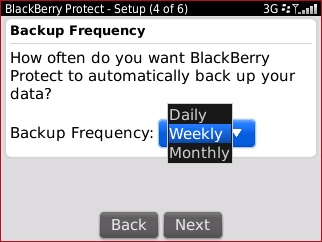 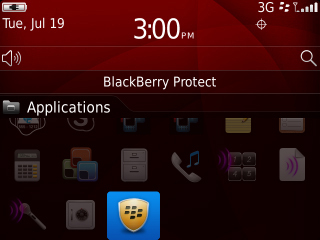 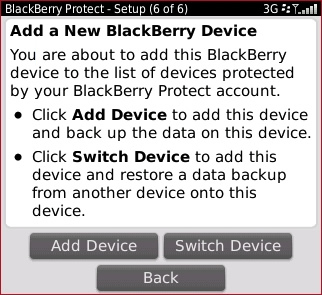 If BlackBerry Protect is not installed, refer to BlackBerry Protect Web Portal for instructions on how to download and install. 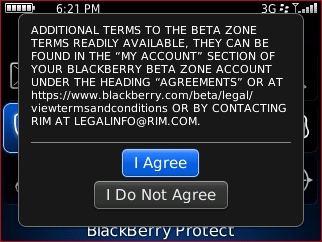 Review the License Agreement then select I agree to continue with setup. 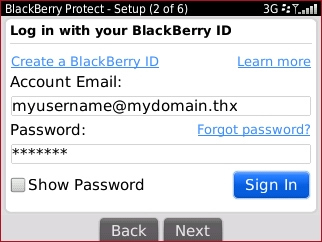 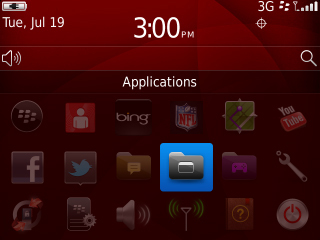 If the BlackBerry ID has not been created, select then refer to Create a BlackBerry ID for assistance. 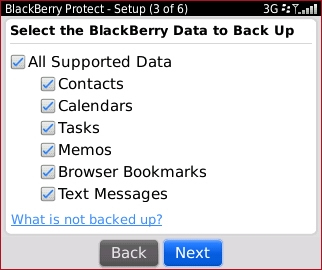 Select (check) any of the following back up options then select Next. 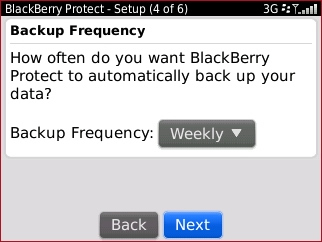 From the Backup Frequency field, select the drop down menu. 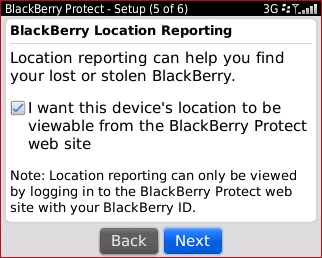 If preferable, select (check) I want this device's location to be viewable from the BlackBerry Protect web site. 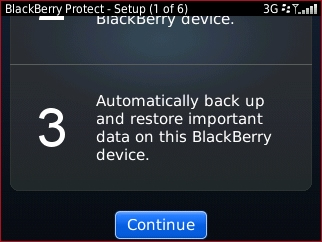 Refer to Restore Data then skip to step 2. 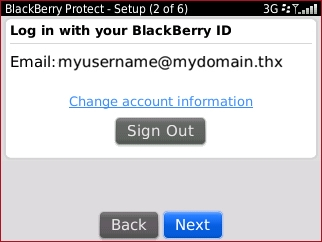 For more information, refer to BlackBerry article KB23906 - What is BlackBerry ID. 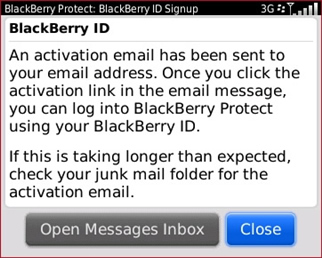 Review the Membership Agreement then select I Accept to continue with ID creation.